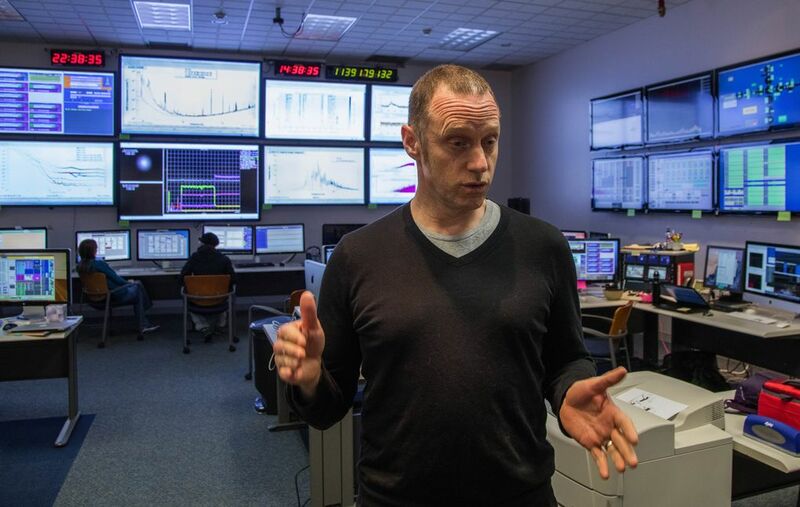 LIGO Hanford’s staff of 40 scientists, engineers and technicians are searching for gravitational waves from violent, astronomical events such as collisions between black holes or exploding stars. 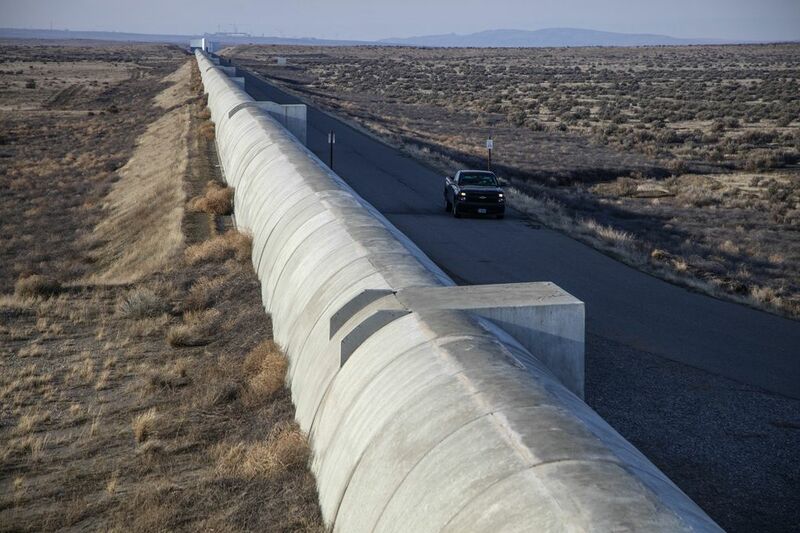 The twin observatories of LIGO — a scientific facility aimed at detecting gravitational waves from cosmic events such as exploding stars — are separated by nearly 2,000 miles. Project participants say each also has its own unique culture. With its proximity to the East Coast, the observatory in Livingston, La., gets more visitors and more media coverage. Lunch options are better, too. The Western outpost occupies a remote corner of the Hanford nuclear reservation, tucked between the Columbia River and the treeless slopes of Rattlesnake Mountain in Eastern Washington. Anyone who forgets to pack a sandwich faces an hour’s drive into town and back. The 2.5-mile-long arms of the L-shaped observatory stretch across a flat expanse of sage and scrub grass. The vista is so open that it’s possible to see the small buildings at each end from an overpass at the headquarters complex. Completed in 1998, the Hanford observatory went through several years of testing before launching into its mission in 2002. 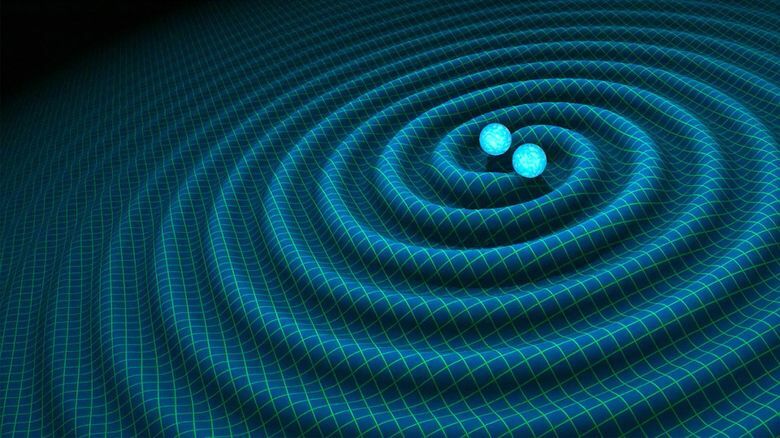 The next eight years yielded zero gravitational wave sightings. After a five-year upgrade, both facilities started gathering data again in the fall of 2015. 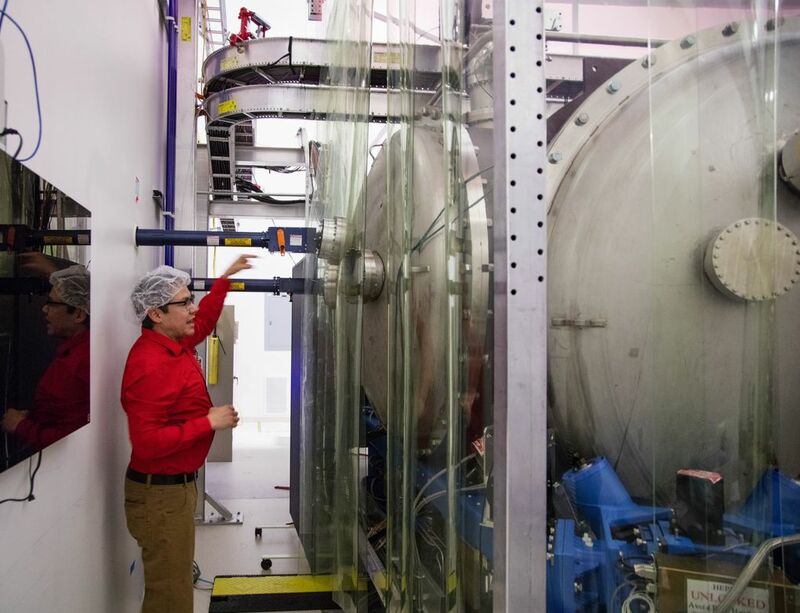 The improvements were meant to boost the sensitivity of the instruments tenfold and increase the reach into the cosmos by a factor of 1,000, lead scientist Michael Landry explained during a tour Wednesday. Among the improvements were the addition of elaborate systems to better shield the facility from any type of ground shaking — whether from traffic on nearby roads or earthquakes on the other side of the planet. In the control room, operations specialist Nutsinee Kijbunchoo pointed out a small spike recorded by seismic instruments the day before. The jolt, from a moderate-sized quake in Chile, was so jarring that the scientists had to temporarily halt their efforts to align mirrors and some of the hundreds of other adjustable components along the length of the arms. The detector needs to be exquisitely sensitive because the signal the scientists are looking for is so tiny, Landry said. The Laser Interferometer Gravitational-Wave Observatory (LIGO) is searching for gravitational waves from violent, astronomical events, like the star explosions called supernovae or collisions between black holes. By the time the ripples in space-time triggered by those cosmic cataclysms reach Earth, though, their effect will be minuscule. The principle behind LIGO — as first described by Einstein — is that a gravitational wave passing through the L-shaped, tunnel arms will shorten the path traveled by a laser beam in one of the arms, and stretch the path in the other. But not by very much. “The size of signal that we expect to find would be on the order of changing the arm length by about one ten-thousandth the size of proton,” Landry said. And yet, it seems to have worked. 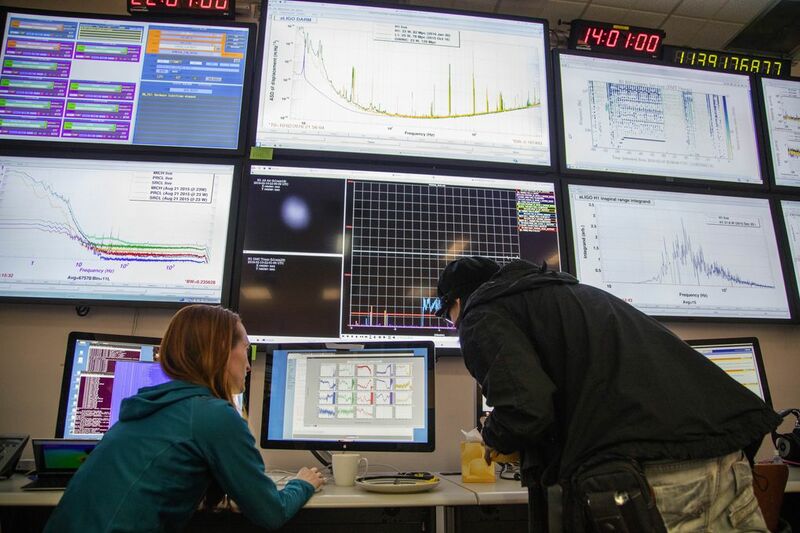 The first data run with the improved detectors ended on Jan. 12. The next will start later this year. 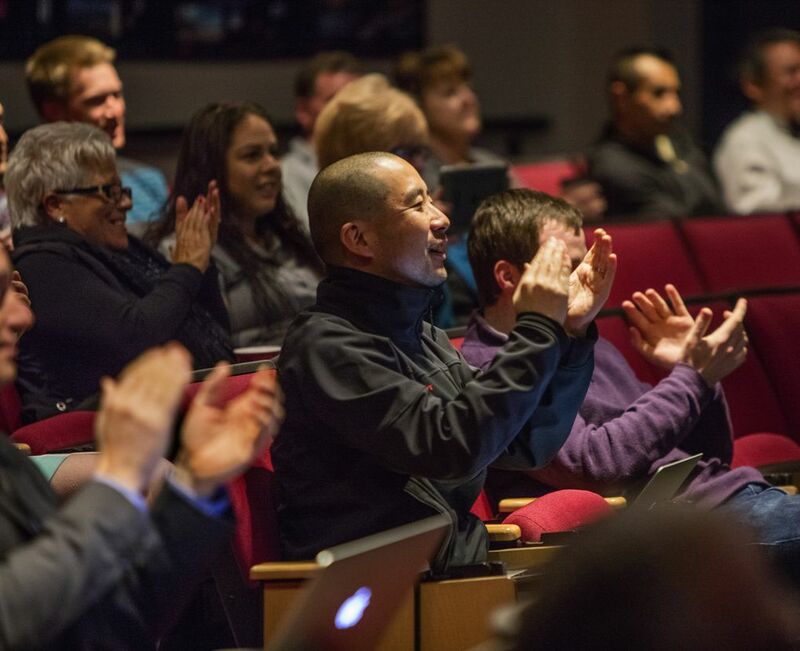 In the meantime, LIGO Hanford’s staff of about 40 scientists, engineers and technicians are working to boost the system’s performance by optimizing the alignment of its myriad parts and extinguishing all possible sources of noise. “People here are working flat out doing that job of making computer codes, feedback loop filters — all of these components which allow the instrument to run quietly,” Landry said Wednesday in the facility’s control room. About a dozen people were tracking data on nearly two dozen wall-mounted big screens and more than 30 desktop computers. Running a high-tech astrophysics facility in the desert also comes with special housekeeping challenges. In the project’s early days, a participant in a Hanford security drill tee-boned his vehicle into one of the tunnel arms while racing across the flats at night. LIGO also owns several hay balers. They’re used to corral and compact tumbleweeds that sometimes pile up so high that the service roads are impassable.